“FUNKY MONKEY BABYS 2,” released on December 12, 2007, is FUNKY MONKEY BABYS second studio album and first major album. The album debuted at number five on the Oricon charts, selling 59,429 copies its first week. Without a pre-album digital hit, the album experienced only moderate sales, in contrast to the break-out success of two of their singles. “MOONINGU SHOTTO” is a poppier take on FUNKY MONKEY BABYS, which is an appropriate way to begin their album. The listen gets to take in their distinctive vocals, beat, and over all sound in a more familiar pop environment. The energy on the track is explosive as usual, and the backing music is great. “Lovin’ Life” is a softer take on FUNKY MONKEY BABYS; it’s their essence embodies in ballad form. A violin and occasional acoustic guitar do well with powerful layered lead vocals. The song is undeniably catchy, with good hooks throughout. “Lovin’ Life” will stick with the listener mainly because it’s so memorable on so many levels. “Chippoke na Yuuki” is mid-tempo, and continues with strong choruses carrying the song. The verses are Spartan in comparison to the choruses, which sound much fuller, vocally and instrumentally. The strength of the song lies in the repetition of hooks throughout the song; even though the vocals change, from rap to singing, the song still sounds similar. One of the better tracks on the album. “Daijoubu Da Yo” feels like a ballad that’s been turned more island sounding. That’s the best way to describe it; the background of the song is soft pop. The crescendo of the song is nothing to write home about – but the ending of the choruses are done well, with a string of “la la”’s backed by what sounds like children. “Mou Kimi ga Inai” is a very strong ballad for FUNKY MONKEY BABYS. They play to their undeniable strength , their sheer numbers, to harmonize during the choruses. Juxtaposed against solo verses, this does well in the song. Also notable are very strong instrumentals that follow this trend quite well. The song ends well, too, making “Mou Kimi ga Inai” a very pleasant listen. The tracks preceeding “LAST HUG” have all had a redeeming quality that made them strong. “LAST HUG” simply doesn’t have that, and fails to impress. The harmonies present in other songs become discordance, and the polished instrumentals turn into a poppy mess. It sounds like mid-tempo pop, but “LAST HUG” fails at sounding right for FUNKY MONKEY BABYS. “Naitte Waratte Yume wo Miteta” is mid-tempo pop that FUNKY MONKEY BABYS does well. The group harmonizes well on the chorus and creates clear, catchy choruses. Sadly, the climax of the song isn’t very strong. “My Home” works off of acoutisc guitar, harmonies, and all of that backed by the repetition of “My Home.” There’s not necessarily anything wrong, but the song doesn’t really soung good until the layering of the final chorus. At that pont, the power attained is too little, too late. “Yubikiri Gen Man” lacks the vocal layering and harmonies of other FUNKY MONKEY BABY tracks. For the most part, it just doesn’t sound like a cohesive song. Over all, that’s the same problem with “Tenshi to Akuma.” Too much rapping and too many gimmicks equate to a really poor album track, that only really turns around late in the song. “Chou I Love You “ is a great way to end the FUNKY MONKEY BABYS 2 album. The song is one of the most energetic and happiest, which definitely provides a jumping point for the rest of their music in the future. FUNKY MONKEY BABYS end with one of their strengths: an acoustic track tinged with their distinctive sound. FUNKY MONKEY BABYS gained success because they sounded novel and different. No one in J-pop has that exact same feel as they do, and listeners hadn’t really seen it done before. Without good looks, the band worked solely off of musical quality, finding variety by changing tempos. However, after listening to the album, it becomes evident that this may not be enough to keep listeners coming back. If FUNKY MONKEY BABYS can bring more diverse sounds and more vocal power along with catchy beats, they can create a hit album. Right here they have the makings of one, they just need to polish their game. Kobukuro released their sixth major label album, “5296,” on December 19, 2007. The album debuted at number two, selling 100,000 copies in one day. This album’s chart trajectory may be worthy of keeping watch on; it should be interesting to see how this album’s chart life is. Already, first week sales suggest “5296” will be a staple of the top twenty for many weeks to come. “Coin” sounds much happier than “Aoku Yasahiku.” “Coin Song” is mid-tempo acoustic pop. There is an organ backing the guitar throughout the song; the beauty lies in the simplicity of the song, which lacks background vocals. This song is music, essentially. The harmonica in the extro is a nice touch to this lounge-feeling track. “Tsubomi” is one of the strongest tracks on the album. The intro alone is beautiful; it sounds like orgel. Most likely, it is keyboards introducing the melody to the song. When lead vocals enter, the song changes to only a guitar backing; the bridge changes into a duet alongside violins and simple beat. The chorus is particularly strong, and the melody of the intro returns, this time with the passion of Kobukoro singing along. “Donna Sora Demo” is a pretty song that uses a background choir of ordinary voices in the ending portions of the song to set itself apart. As such, this song picks up momentum and energy as the song progresses, becoming a big song that doesn’t end with Kobukuro’s normal grace. Over all, the song has a nice hook, making it a strong album track. “Kimi to Iu Na no Tsubasa” is another single track, featuring on “ALL SINGLES BEST.” The song is upbeat and passionate. It has some elements of pop to it, but barely. Over all, the piano and the violins sound fast-paced, and lead in to a powerhous chorus. “Kimi to Iu Na no Tsubasa” is a great upbeat song that still has that emotion Kobukuro is known for, but speeds up their music in a great way. “WHITE DAYS” is another ballad; at this point, it’s starting to become overkill considering the strong tracks that the album has. Thankfully, this song is still strong and more piano based (as opposed to guitar) compared to the last few tracks, but musically it’s not terribly difference. Lyrically (an aspect I don’t have time to research) this song is probably much different. “Kimiiro” begins with guitar riffs before switching back to more traditional Kobukuro fare. The song is mid-tempo acoustic; it features an interesting basis for its beat, as well as harder guitar. “Kimiiro” is a break from the onslaught of ballads, but not much else. “Suimen no Chou” marks a power transition for Kobukuro; they finally leave behind acoustic pop rock and head into faster, harder rock (it’s by no means heavy). There’s guitar riffs, Kobukuro’s vocals, and a good drum beat. From “Suimen no Chou,” it looks like Kobukuro could put out some more faster rock – it’s good. “Kaze no Naka wo” feels kind of country-tinged. It’s definitely giving the album variety with what sounds most like a banjo. Perhaps the best element of the song is the joy in it, something Kobukuro doesn’t often capitilize on. There’s also the English “Hey now!” throughout the song, along with harmonica. This song may have American country roots, but Kobukuro owns it. The transition to the next song, “Gekkou,” is somewhat forced, but not horribly (the tempo is at least kept going). “Gekkou” is rock once more, but it sounds much more raw than “Suimen no Chou.” It’s not bad; it has a great crescendo and chorus, but it just doesn’t feel well-produced. “Kazamidori” feels quite familiar, which really makes it fall into the background on an album filled with ballads. It’s nice, but the instrumentation, vocals and sound have been done before. Nevertheless, the extro of the song is beautiful. “Diary” seems to encompass the rest of the album quite well. It has pop synthetic elements, more classical elements such as violin, and contemporary acoustic guitar. It’s mid-tempo and nice, over all. “Fragile Mind” is probably the best album track of all. It combines the rock seen in mid-album tracks with the emotion of “Tsubomi,” creating a passionate, forward looking ending to a great album. What more is there to ask for? Kobukuro has been at the height of their game ever since the release of “SAKURA.” More recently, their album, “ALL SINGLES BEST,” has become one of the best selling Japanese albums of the new millennia in Japan. With such success, it was imperative to maintain their momentum with “5296.” Not only did Kobukuro have to create a great album (expectations have been high), but they had to mix older feelings and elements found throughout their discography with something new. In the end, Kobukuro largely succeeded on this album. The album is very acoustic, maybe too acoustic. Essentially, if Kobukuro messed up on the album, they only did so minimally. The only other error would be not all tracks came all that close to greatness; some do, others don’t. Otherwise, “5296” is an album that is largely able to transcend its genre. In other words, it’s worth a listen. Character song release from “Shugo Chara,” the latest release from “Rozen Maiden” hit-makers Peach Pit. Mizuki Nana released “Meikyu Butterfly” on December 19, 2007. Most of Mizuki Nana’s releases are well polished with great, instrumentals that are well produced, especially for anime and a seiyuu singer. Here in “Meikyu Butterfly” the song is still well done for the most part, although it lacks some of her traditional power. That power change works well, as it is backed by a piano during the first part of the song. The song builds well, becoming very techno sounding towards the end, which is a fairly complete shift from the beginning. For anime fans especially, the son is worth a listen. “Blue Moon” is a ballad B-side with piano, some percussion, guitar, windchimes, and keyboards. Over all, the song never really attains the power of the last song. It’s beauty isn’t enough to excuse this fact, either; “Blue Moon” ends being solid, but not as anything special. 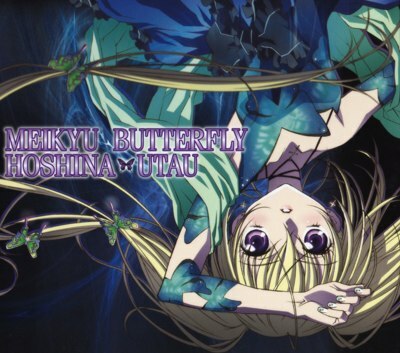 “Meikyu Butterfly” is the polished anime music we’ve come to expect from Nana Mizuki. It should be worth a listen to fans, but compared to some of her other songs, its not quite as well done. 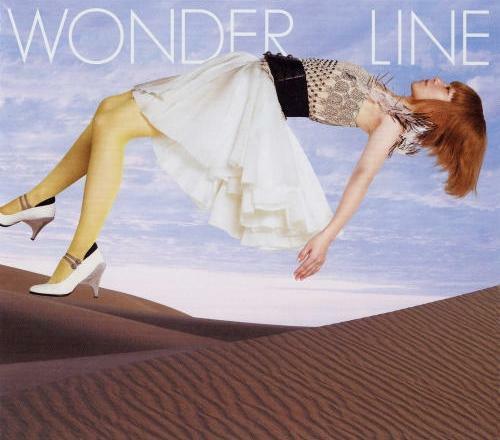 YUKI released, “Wonder Line” on December 12, 2007. Both “Wonder Line” and “Wonder Line (Night Swimming Mix) were used in FOMA N905i CMs. Upon release, “Wonder Line” peaked at number four on the Oricon weekly chart, selling 23,147 in its first week on the charts. “Wonder Line” is an interesting song with variety. YUKI’s vocals are very different, even when compared to her J-pop peers. Her voice is high and particularly nasal. Nevertheless, she controls that nasality fairly well in this song, which makes a world of difference in the chorus. It’s catchy and upbeat, with the hook “wonder line.” The surreal instrumentation, orchestrated backing, and strong beat really create an excellent J-pop in the end. 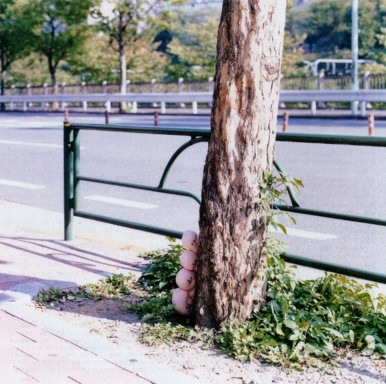 YUKI’s experience shines through on this track. The only downside to the song would be that YUKI’s voice is a bit high, and the extro is a bit long. But if you can take those “bits,” “Wonder Line” is a good song. “Biscuit” is more of rock song mixed with piano and violins here. Live, YUKI’s voice gains a welcome bit of depth, and the music feels as if it fills the room. YUKI is a musician and that shines through on “Biscuit” as she performs wonderfully. A nice way to round out a wonder of a single. Considering YUKI’s music can be too stylistic and nasal to listen to, “Wonder Line” is a welcome step towards the mainstream for YUKI. 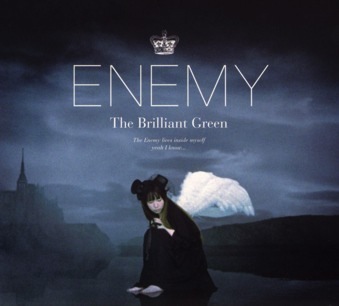 The Brilliant Green released “Enemy” on December 12, 2007. The single peaked at number 21 on the Oricon weekly chart, selling 5,804 copies its first week on sale. “Enemy’s” best trait is the haunting quality it has throughout the song. The song does well mixing rock with other elements, including an organ in the final bridge. However, that good production does not cover up the vocal weakness in the song. The song may feel haunting, but the vocals sound weak, and at times, strained. If the vocals were better, the acoustic version of “angel song” may have sounded better. As is, it’s certainly a decent track, but without the haunting rock of “Enemy,” the song is easily forgettable. 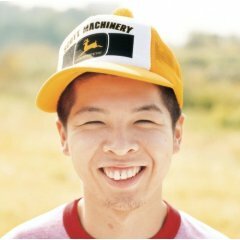 [Single] Makihara Noriyuki – Akai Mafura/Ogenki de! 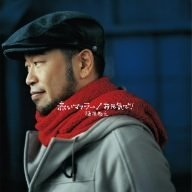 Makihara Noriyuki closes out his seventeenth year in the Japanese music industry with the single, “Akai Mafura/Ogenki de!,” released December 12, 2007. This single did not match the success of “GREEN DAYS,” only reaching 33 on the Oricon weekly chart when it was released. “Akai Mufler” is an excellent wintry song with a great variety of instrumentation, from violins to interesting sampled percussion. The track has a nice sound, which makes the song a very pleasant listen. “Ogenki de!” uses more synth to create a positive song that just sounds happy. The song dings and uses keyboards, but works well mainly because of the mellow vocals. A fun song that isn’t too cutesy by any means. Nary a moment is bland due to the variety in synthetic editing throughout the song. This single is not as strong as “GREEN DAYS,” but it’s still surprisingly good and well done. If you’re looking for songs that just sound positive, this is the stuff for you. The plus is that Makihara Noriyuki sounds happy without singing in falsetto.